Diabetes complicates your life quite a bit. It requires a radical change to your diet, daily blood sugar monitoring, significant weight loss, and starting an exercise program. You may also need to change your wardrobe and add diabetic shoes and diabetic socks. No, diabetic socks aren’t insulin dependent. They’re socks made specifically for diabetics, created from special materials that promote healthy circulation, reduce irritation and infection, and keep your feet drier than typical socks. As we’ve written in this blog, diabetes can have a big impact on your feet, ankles, and lower legs. 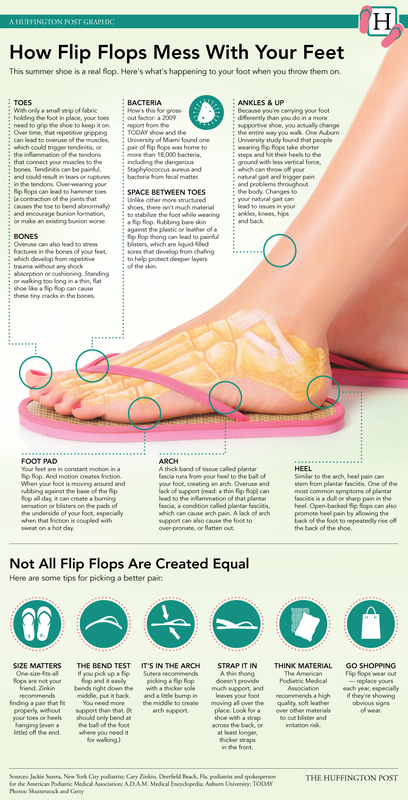 It affects blood circulation, reducing your ability to heal normally, and it causes neuropathies, which reduce your ability to feel sensation or pain in your feet. You’d think that normal socks couldn’t possibly cause damage to your feet, but if you’re diabetic, they surely can. A simple seam running across the front of a cotton sock can rub against a diabetic’s sensitive skin and cause a blister. If you have a neuropathy, you may not notice this blister until you actually see it, and by then it may be infected, requiring significant medical attention. Diabetic socks should have non-binding tops which allow for better blood circulation. A normal sock has either a slightly tighter stitching or elastic at the top to keep them from falling down. This light pinching above your ankle can actually reduce blood circulation to the feet in diabetic patients. Diabetic socks should have a seamless design. This means the socks won’t rub against your toes, which is significant if your diabetes causes your feet to swell. The seam of a traditional sock rubbing against a swollen foot can become unbearable. Diabetic socks should be made from materials that wick moisture away from your feet. This will keep your feet nice and dry and reduce the chances of getting a bacterial or fungal infection like athlete’s foot or toenail fungus, which can become quite serious for diabetics if not addressed immediately. Running, walking, dancing, hopping, jumping. You couldn’t do any of it without your achilles tendon. When you don’t take care of this tendon and injure it, the result is heel pain or ankle pain, and depending on the injury, anywhere between a few days to 12 weeks of rest and recovery. Your achilles tendon connects your calf muscle to your heel bone, and is responsible for every movement of your lower leg. When you contract your calf muscle, it pulls up on the achilles tendon, which forces the front of your foot down. This connectivity enables you to stand on your toes, walk, run, and jump. When you push off a surface, each achilles tendon has to handle 3-12 times your body weight. It’s a tendon with a lot of responsibility. And that’s why it’s so easily injured when you don’t take care of it. The major causes of injury are overuse, misalignment of your leg, improper footwear, and accidents. These injuries usually show up as Achilles tendonitis or an achilles tendon rupture or tear. Soreness or stiffness usually just behind the ankle, which comes on gradually and continues to worsen. This is a very common injury among athletes, especially long distance runners. There usually is little mystery when this happens. This partial or complete tear of the achilles tendon happens quickly, often with a popping sound, and is very painful, usually described as a knife-like pain. A complete tear is self-evident by the inability to properly coordinate the movement of your foot and leg, but a partial tear may be a bit more mysterious. This is most common in middle age athletes who don’t do proper warmups (stretching) before exercising. You get what you pay for in athletic shoes. A shoe which fits your arch, is matched to your pronation, and is sufficiently cushioned, is key in keeping your Achilles healthy, especially as we age. In fact, just a little padding under the heel can be of tremendous benefit to those who suffer from repeated injuries to the achilles. That’s because the padding actually shortens the length of the stretch of the tendon with every step. Custom made orthotics (shoe inserts) are also very helpful in healing the achilles tendon and preventing injury. And as always, stretching before exercise is key in avoiding many injuries of the foot and ankle – and elsewhere. Fortunately, treating an achilles injury under a podiatrist’s supervision is usually successful. Depending on the severity of your injury, your podiatrist may recommend rest, a change in footwear, orthotics, over the counter anti inflammatory pain medicine, and stretching exercises via physical therapy. If your achilles is ruptured or torn, surgery or immobilization with a walking boot or cast may be necessary to repair it. Early treatment by a podiatrist is key in healing the achilles tendon correctly and preventing more serious injury. Even in mild cases, it can take weeks or months until you’re able to get back to your regular routine.